Fred Sandback. Galleria Primo Piano, Rome. Opened January 13, 1990. 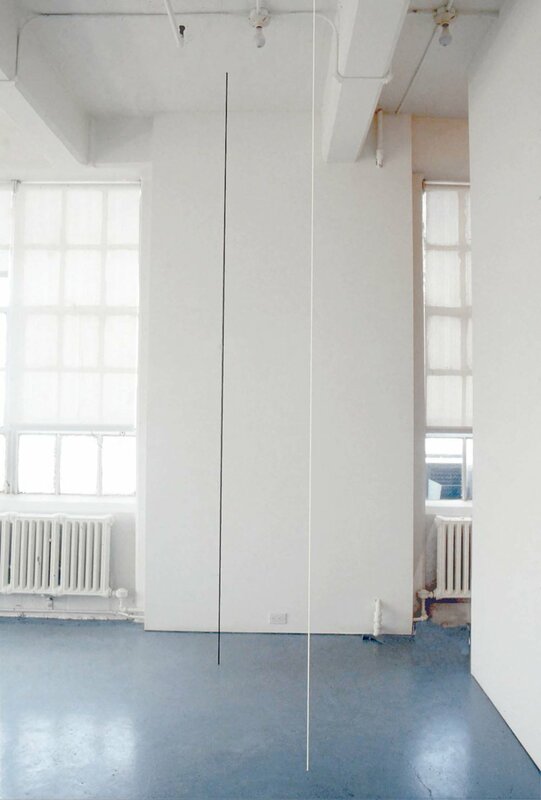 Fred Sandback: Seven-part Vertical Construction. Lawrence Markey Gallery, New York. April 3–May 31, 1990. 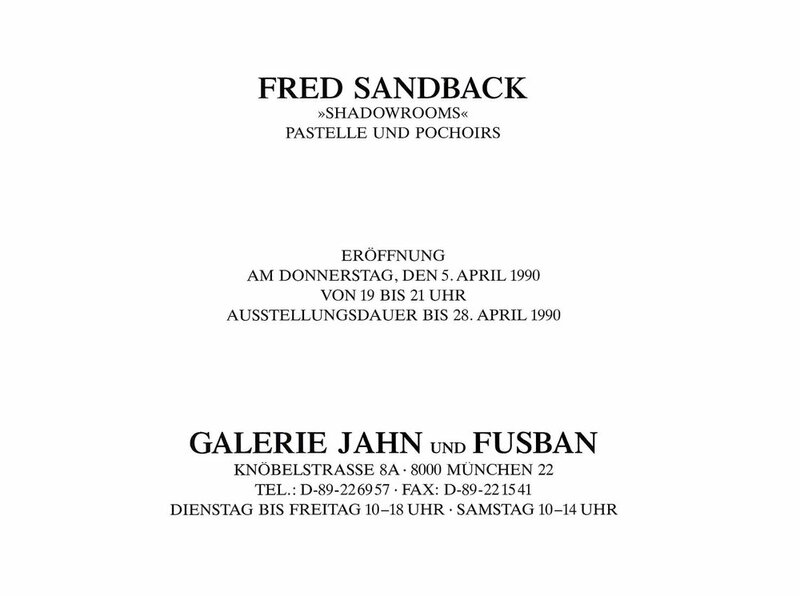 Fred Sandback: ‘Shadowrooms.’ Pastelle und Pochoirs. Galerie Jahn und Fusban, Munich. April 5–28, 1990. Fred Sandback. Galleria Victoria Miro, Florence. Opened September 27, 1990. Fred Sandback: Drawings. Victoria Miro Gallery, London. October 24–November 23, 1990. Concept Art, Minimal Art, Arte Povera, Land Art: Sammlung Marzona. Kunsthalle Bielefeld, Germany. February 8 –April 8, 1990. Radikal auf Papier. Aargauer Kunsthaus, Aarau, Switzerland. February 10–March 25, 1990. Fifth Anniversary Exhibition. Burnett Miller Gallery, Los Angeles. February 23–March 24, 1990. Quotations. Annemarie Verna Galerie, Zurich. March–April 1990. The Future of the Object! A Selection of American Art: Minimalism and After. Galerie Ronny van de Velde, Antwerp, Belgium. May 20–July 28, 1990. Minimalism. Nicola Jacobs Gallery, London. June 27–September 1, 1990. Minimalism and Post-Minimalism: Drawing Distinctions. Hood Museum of Art, Dartmouth College, Hanover, New Hampshire. October 27–December 16, 1990. Traveled to: Parrish Art Museum, Southampton, New York, September 22–November 17, 1991. Minimalist Prints. Susan Sheehan Gallery, New York. 1990.